Recently I’ve been reading the hilarious BossyPants by Tina Fey – I highly recommend it if you’re in need of a funny summer read. One of the best things that I’ve learned from the book are the rules of improvisation and how to handle situations that you find yourself in. Great rules for photography too!! 1) YES! Accept what is happening and choose to embrace it. Respect what your partner has created and start from an open minded space. 2) YES AND… Agree, then add something of your own. Don’t be afraid to contribute. It’s your responsibility to contribute. Always add something to the discussion. Your initiations are worthwhile. 3) MAKE STATEMENTS. Whatever the problem, be part of the solution. Don’t just ask questions and leave it to others to figure out. Don’t be the person who stands by and just points out obstacles. Also- don’t speak in apologetic question tones. Make statements with your actions and your voice. 4) THERE ARE NO MISTAKES…only opportunities. If something doesn’t go the way it’s intended, it roll with it! In improv there are no mistakes only happy accidents. Many of the world’s greatest discoveries have been by accident. I mean, look at the Reece’s Peanut Butter Cup. 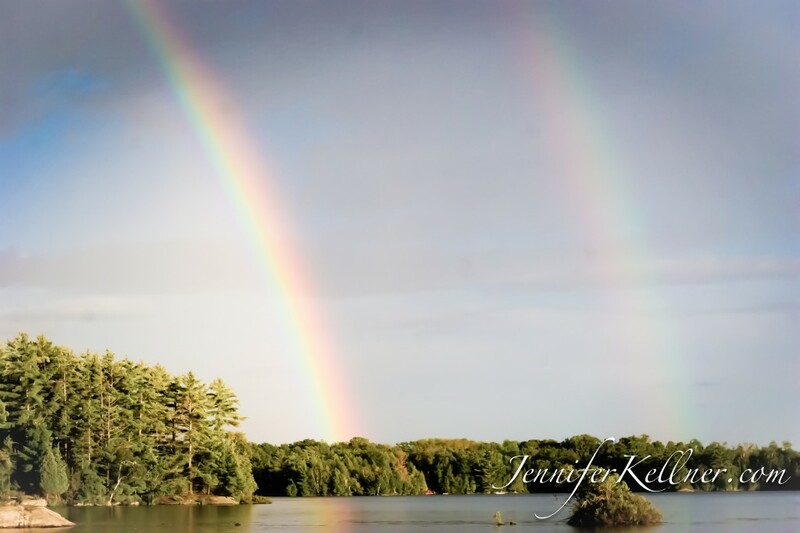 And just because every post needs a picture… a double rainbow that came out after a wicked storm. See? No mistakes.